We make the dream of owning a new Honda in the Davenport – Quad Cities area come true with an award-winning lineup of new and used cars. We also provide our valued customers with auto-financing that’s easy to wrap your head around, and an expert team of auto repair specialists dedicated to using only Honda parts. New car smell is great, and we’ve got a range of new Honda vehicles that will delight your senses. But we think feel is really where it’s at when you’re dealing with a new Honda Accord, Civic, Fit, Pilot or CR-V model. That’s why the Lujack Honda sales staff is here to point you in the right direction and to assist you with the next step. After all, once you find Honda that looks right to you, you’re going to want to get behind the wheel to see if you get that new car spark. Beyond simply selling new cars, our dealership is also known for giving Honda models a second chance on the road by carrying an excellent selection of used cars as well. 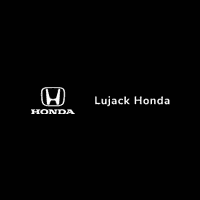 Each vehicle we receive from a previous owner is thoroughly inspected to make sure it’s fit to be driven in Davenport and the surrounding Moline, Rock Island and Bettendorf areas, meaning you can count on a reliable vehicle when you shop at Lujack Honda.